Chief Minister Manohar Parrikar, of the BJP government has said that a decision has been taken whereby land-based casinos will be allowed to pay fees in installments. 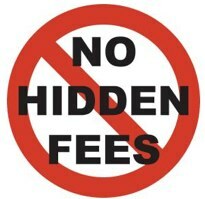 There will, however, be conditions attached to paying the fees in installments. The reason that the option of paying casino fees in installments is being offered is because the casino fees have recently been increased by a large amount. Casinos will need to pay for the upcoming quarter before the end of each previous quarter. There will also be 12% interest charged for the time of the delay. The casinos that do not pay the necessary fees will not be allowed to operate, and it will be illegal for anyone to go to those casinos. Minister Parrikar said that the sales tax commissioner is being given instructions in accordance with this ruling. Since the government has threatened that action will be taken against those land-based casinos that are operated illegally, including those that re behind in their fees, there has been some positive response from some of the casinos. At this time, four casinos have come forward and paid their fees. Minster Parrikar said that there are some casinos that do not yet need to pay their fees as the quarterly period is based on each individual license, according to the date that the license was issued. At this time somewhere between 15 and 20 crore has already been collected, although the government is expecting to receive around 40 crore in fees by the time the casinos have paid up. Both the Radisson White Sand and the Intercontinental Grand Resort Goa, Canacona, have not renewed their licenses yet. M V Leela, an offshore casino, has not paid fees and has ceased operations, even though it holds a valid casino license. There has been at least one request to pay in installments at this time.